Finance Minister, Honorable Ken Ofori-Atta has confirmed that a tax exemption bill has been laid before Parliament for passage to streamline tax exemptions. Speaking in Parliament last Thursday, Mr. Ofori-Atta said the passage of the tax exemption bill would also help minimize its abuse. The International Monetary Fund (IMF) backed government to overhaul its tax exemptions regime to boost its failing domestic revenue. IMF in its review of Ghana said rationalizing tax exemptions will improve government’s domestic revenue mobilization. Domestic revenue performance over the past two to three years has not met the budgeted estimates, with last year’s target falling short by about 10 percent and prompting the government to realign its expenditure in view of the shortfall. “…it was agreed that tax exemptions will be rationalized, and their management framework strengthened to improve domestic revenue mobilization. 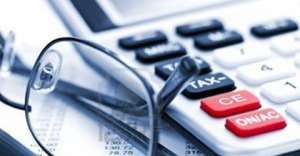 The authorities estimate tax exemption costs to be as much as 1.6 percent of GDP in 2018,” said Ms. Annalisa Fedelino who led an IMF team to Accra in February to conclude discussions on the combined seventh and eighth reviews of Ghana’s Extended Credit Facility Programme. President Akufo-Addo in his State of the Nation Address in February described the existing tax exemption policy as an Achilles-heel and a growing menace to fiscal stability and revenue generation. In the last eight years, tax exemptions in respect of import duty, import VAT, import NHIL, and domestic VAT have grown from three hundred and ninety-two million Ghana Cedis (GH¢392million), that is 0.6% of GDP in 2010, to GH¢4.66 billion – 1.6% of GDP in 2018. According to the President, this is not sustainable and the government intends to do something about it to reverse the trend – by introducing suitable measures that may disrupt the easy and comfortable arrangements many have become accustomed to. Meanwhile, President Akufo-Addo has indicated that reforms to Ghana’s import duty regime are underway to cut down the high duties prevailing in Ghana’s ports.